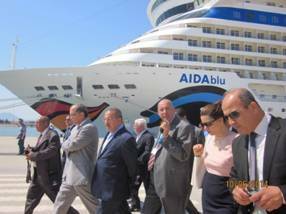 Organizing the first meeting of Tunisian marinas on June 10, La Goulette Cruise Terminal also hosted the Tourism Minister Amel Karboul. The Minister was received by the cruise terminal CEO and the Port Authority CEO as well as several tourism and cruise professionals. 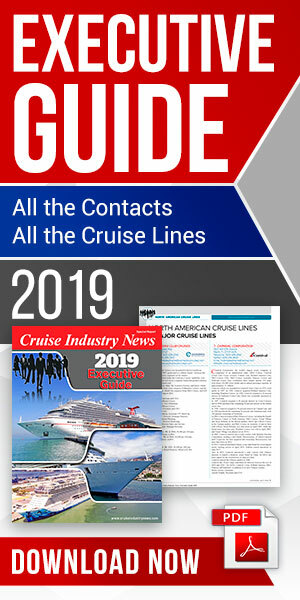 The port in a prepared statement: “It was an opportunity for the Minister to visit the cruise village in service and to meet cruise passengers. The terminal was hosting two cruise ships, the Musica and AIDAblu with almost 5400 passengers onboard.